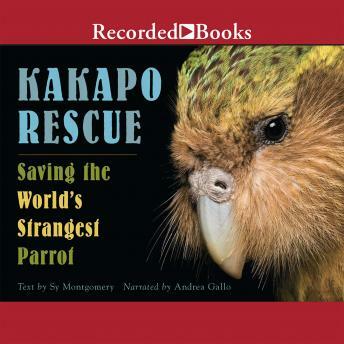 On remote Codfish Island off the southern coast of New Zealand live the last ninety-one kakapo parrots on earth. These trusting, flightless, and beautiful birds-the largest and most unusual parrots on earth-have suffered devastating population loss. Now, on an island refuge with the last of the species, New Zealand's National Kakapo Recovery Team is working to restore the kakapo population. With the help of fourteen humans who share a single hut and a passion for saving these odd ground-dwelling birds, the kakapo are making a comeback in New Zealand. Follow intrepid animal lovers Sy Montgomery and Nic Bishop on a ten-day excursion to witness the exciting events in the life of the kakapo.